Our Newark Location offers JEI Math, JEI English, JEI Problem Solving Math, and JEI Reading & Writing. Our Fremont Location offers all JEI Programs, FasTracKids, Abrakadoodle, Chess Class, and all of our Summer Camp programs. As far as showing our address you could either list those at the bottom of this copy or you could click on the location links that will display a Google Map of each individual location. FasTracKids teaches preschool and early elementary school-aged children 3-8 years old to use creativity, communication, confidence, critical thinking and collaboration skills through fun, interactive activities. Using the FasTrack Learning Station, our elementary tutors encourage children to explore 12 subjects ranging from the traditional topics such as biology, astronomy, and art, as well as subjects not usually covered in early learning, like economics, technology, and goals & life lessons. The FasTracKids Core curriculum enriches students from the ages of 6 months to 8 years on life skills, communication, collaboration skills, and critical thinking skills, while reinforcing each child’s creativity and confidence. The curriculum implements innovative technology in order to make learning fun and exciting, known as the FastracK Learning Station. The FasTracK Learning Station provides various programs such as FasTracK Explorers and FasTracK Discoverers. FasTrack Tots introduces toddlers to the classroom experience. 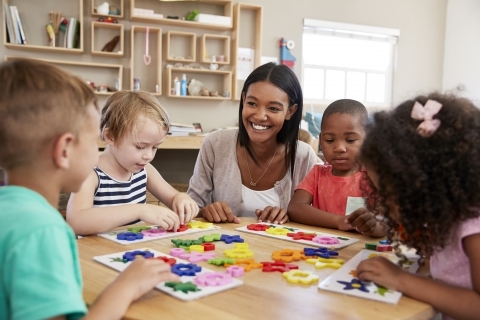 Designed for the shorter attention spans of these early learners, FasTrack Tots uses engaging lessons that involve songs, movement and hands-on activities. 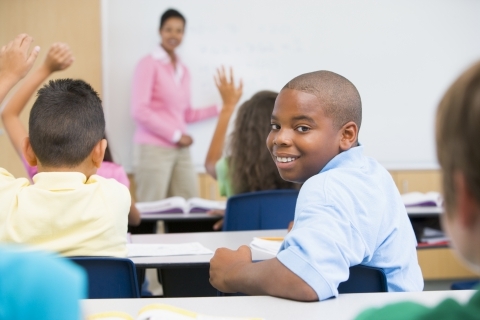 Basic Social, leadership and teamwork skills are emphasized when children interact with other students, teacher assistants, and teachers in the class. Children are able to use newly found communication skills and develop self-esteem through classroom discussions, role-plays and activities. Progress reports allow teachers to share written results with parents and separates FasTracKids from other early education programs. What would the world be without music? In FasTrack®Music, 2 – 4-year-olds get to move, sing, pretend and share their love for music. As children engage in the music program, they improve their memory, cognitive development, learning skills and their ability to express emotion. This early learning program is a fun and energetic way to introduce children to the creative world of music. Through the award-winning ABC Music & Me™ curriculum, children learn musical terms such as forte (loud) and piano (quiet). 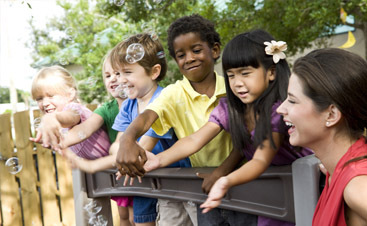 Children also learn group social behaviors such as taking turns, cooperation and listening. Children are encouraged to explore instruments, which increases auditory discrimination and a foundation for future musical interests. Optional monthly parent kits are available so that children can continue the fun while at home. The advanced program for 4 – 6-year-olds is based on the same concepts as the 2–4 year old program, but the curriculum is focused on preparing children for formal music lessons while still having a fun, positive experience. Children are introduced to composers, songs and musical styles such as classical and jazz while learning notation, new instruments and music vocabulary. Children are also introduced to the keyboard and learn basic keyboarding techniques. The advanced program can act as a precursor for formal music lessons if the child is interested. These lessons provide a solid foundation for music education and a lifelong appreciation of music and movement. Have you ever wondered what your infant is thinking? This program is designed for infants and toddlers between the ages of 6 months – 2 years who will eventually develop the capacity to communicate verbally. This program is designed specifically for children; but as every parent knows their child can communicate before he or she is able to speak. In this program parents, caregivers and babies are taught how to communicate through gestures, even before the child can speak! Research shows that children who learn how to communicate through gestures (signing) begin to speak with a larger vocabulary. Having trouble finding a camp that is constructive, engaging and fun? FasTracKids® has a day camp that fills all of those needs. For three hours a day, camps can be offered as a one week or one day program to provide the flexibility in length and curriculum. This is a fun, simple option for children that are on holiday break or out of school for a substantial amount of time. Half-day and Full-day camps are available for students from 3 to 8 years. JEI Math offers a complete after school program for grades Pre-K to 9 and encourages conceptual understanding. Each level of the JEI Math program is designed with specific study objectives, and provides a step-by-step approach which makes learning easy for everyone. JEI Problem Solving Math is available to advanced students in grades 2 through 6 seeking an additional challenge. JEI Problem Solving Math is designed to help students further develop their critical thinking and problem-solving skills, with questions similar to those found in ‘Math Olympiads’. Like JEI Math, Problem Solving Math is aligned with NCTM standards and offers excellent preparation for academic assessment tests. JEI English provides an easy to grasp program for grades K to 9. The program progresses in small steps and makes learning engaging and effective. The workbooks are designed to provide a strong foundation in grammar, vocabulary, and reading skills. The study program is created for each student through an individualized schedule of selected workbooks. There are 10 levels of JEI English with 32 to 38 weekly workbooks depending on the grade level. At the end of each weekly workbook, there is an interim test for the concepts covered to ensure understanding. JEI English curriculum is aligned with the National Council of Teachers of English (NCTE) Standards, covering all major domains such as readiness, phonics, reading, communication, grammar, and information. JEI Reading & Writing is a literature-based, enrichment program that helps students strengthen reading comprehension and writing skills. The program features fiction and nonfiction, as well as other genres of literature. Students in grades 2 through 7 who possess basic language arts skills and are interested in exploring various types of literary genres are welcome to enroll in the program. It is a 10 month program with 40 weekly workbooks per grade level. Students can continue their studies through JEI by enrolling in our JEI Camps! JEI camps combine educational and recreational camp activities. Students can participate in JEI through either half day or full day camps each summer. JEI offers students a chance to compete with their intellects nationally in both math and writing. Students are rated on a national scale and graded by qualified judges. Students are able to compete based on their grade level and win great prizes too! Math Olympiad takes place in March and the Essay Contest takes place in November every year. Brain Safari is a new kind of JEI Math that will integrate more abstract problem solving and critical thinking that other JEI Math programs. More information will be made available soon! Abrakadoodle is offered as an art enrichment course here at Palm Academy. Abrakadoodle, the popular award-winning art and creativity program was voted ‘Best Art Class to Bring Out Your Child’s Inner Picasso.’ The imaginative Abrakadoodle art education curriculum was developed by artists and educators and exceeds the National Standards for Visual Arts Education. Each art class offers a unique educational experience. And each child’s art is as original as he or she is! 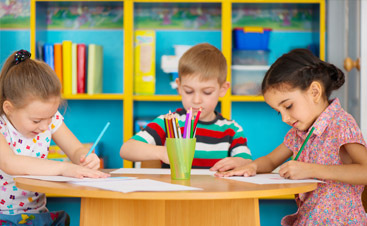 Each of our art classes is small in size, providing an environment for the Abrakadoodle teacher to work with each child, answer questions, demonstrate techniques and encourage exploration. Abrakadoodle art classes are designed for children of all abilities. Many of our students find a new interest in exploring their own creativity. In our art classes, children paint, draw, sculpt, design, imagine, sketch and explore using a wide variety of artist materials and techniques, all in an atmosphere of fun and success! Mini Doodlers gleefully create their own masterpieces using a wide range of high-quality art materials. 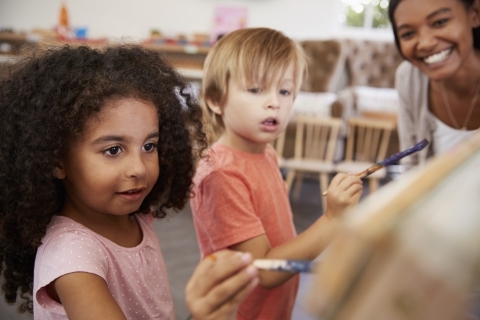 Children develop important school readiness skills such as fine motor skills, ability to listen and follow directions, cognitive skills, language and more in an enchanting environment that develops individual creativity. Doodlers develop new skills and talents while designing unique creations using a variety of wonderful materials and tools. Each lesson focuses upon developing skills, learning techniques and expanding knowledge. The methods and styles of contemporary and master artists specializing in paint, sculpture, design and more are incorporated into each class. Abrakadoodle Art Camps inspire kids to reach beyond and create art that is unique to them. By doing so kids feel empowered to be creative and expressive. It’s amazing to see just what kids design when given the freedom to explore and to express themselves creatively! Imaginations soar! Join us for these great camps and many other themes! Art That’s Good Enough To Eat! Beach Arts, Crafts and Fun on the Run! Get ready for some wet and sandy fun! Design your own sun visor, move to the party music and create some incredible underwater art! Learn about the world-famous sidewalk chalk artist Julian Beevers while we create unique sidewalk designs. There will be an Obsta-COOL course, spray bottle painting, sand and shell designs, beach party day and more fun on the run. Abrakadoodle is the cutting edge learning program for children to learn new and exciting art lessons! Specialty art classes allow children the opportunity to focus upon one aspect of art such as painting, drawing, photography or history. Classes are offered at various times and locations. Chess classes are offered for Kindergarten and up for beginner and intermediate players. Students will learn how to play chess from the basics of learning each of the pieces to learning strategies for various stages of the game. Chess class fosters more than just the skills required to play. Students will learn about sportsmanship, problem solving, and critical thinking while also gaining an appreciation for playing chess that will last a lifetime!